Brass Tubing Can Be Used For Plumbing Accessories And Fittings, Bathroom Fixtures And Other Commercial Or Residential Applications. Brass Tubing features durable brass construction with chrome finish for smoother interior flow, greater burst strength, and long lasting reliability. Available in 17-Gauge and Budget-Gauge Brass construction. Sizes vary per model. 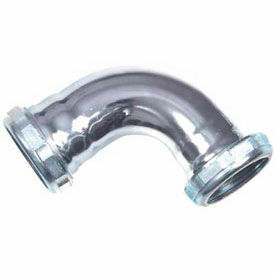 Slip Joint Connections And Flanges Provide High Quality Plumbing Supplies For Commercial and Residential Drains And Traps. Slip Joint Connections And Flanges are constructed with sturdy chrome and cast brass for long lasting durability and reliability. Slip joint supplies are designed for use in tubular drain applications. Available fitting types are 45 Degree Slip Joint Elbow, 90 Degree Slip Joint Elbow, Cast Brass Flange w/Set Screw, and Tee Slip Joint. Package quantities are 5 and 12. Sizes vary per model. 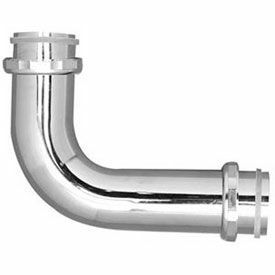 Dearborn Brass Closet Flush Elbows Are Designed For Use In Commercial And Residential Tubular Drain Plumbing Applications. Dearborn Brass Closet Flush Elbows connect older style wall-hung toilet tanks to the bowl. Features durable 20-gauge brass construction with chrome finish for long lasting reliability. Optional brass nuts available with some models. Available sizes are 2" x 4" x 6", 2" x 5" x 7", and 2" x 6" x 8". Package quantity is 5.